You are here: Home / Lifestyle / Fashion / Hard Candy Cosmetics: A Review & Quick Make-up Look! I have to admit, as of late, I don’t have the time I used to have to do my make-up. Though I have no qualms about leaving the house without make-up, there’s days that I want to wear it for myself and to feel good! I have always been a Hard Candy fan and I have to say my absolute most favorite is their mascara, Lashaholic–Super Volume Mascara. It gives you the “biggest, baddest lashes” and it separates them perfectly. So, when Hard Candy offered to send me a few of their products to try out, I was super excited! They sent along a tube of one of my favorite mascaras, the Lashaholic–Super Volume Mascara, Plumping Serum–Volumizing Lip Gloss and Eye Def–Metallic Eyeshadow. I was super excited to try it out and decided to create a quick and easy look that anyone can wear utilizing the 3 products I received as well as other products to complete the look. But, first… Let’s take a look at the amazing Hard Candy products! Here is the Eye Def Metallic Eyeshadow in Flash. It comes with a doe-foot applicator and is formulated to coat the lid with a base color and fine glitter that is meant to last all day. It sure did last all day and the applicator was easy to use and perfect to apply to my lid and accentuate the crease. I barely needed to use a lot of the eye shadow because a little went a long way! The color is pretty and can suit most complexions. It went on smooth and immediately felt dry, like regular eyeshadow. It didn’t cake or crease which most liquid or cream eye shadows tend to do and that is a definite plus for me and one of the reasons I tend to stay away from this type of shadow but, Hard Candy’s Eye Def is most definitely one that I will go back to over and over again! Now, this is one of my favorite lip glosses that I have ever tried and I can honestly say that I’ve tried LOTS! 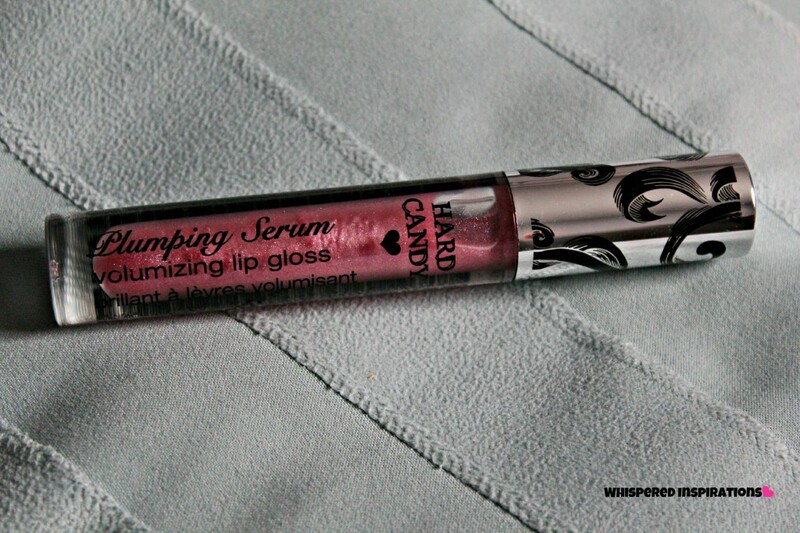 This is the Volumizing Lip Plumping Serum and I absolutely adored it. It was smooth and sparkly and you can immediately feel the plumping sensation. It also lasted long and wasn’t too sticky or taste icky if you accidentally tasted it. Not recommended but, hey–it happens! The color is perfect, a nice neutral color with a hint of pink and tons of shine! It is supposed to give you a fat pout and I must say, it looks like it did it’s job! 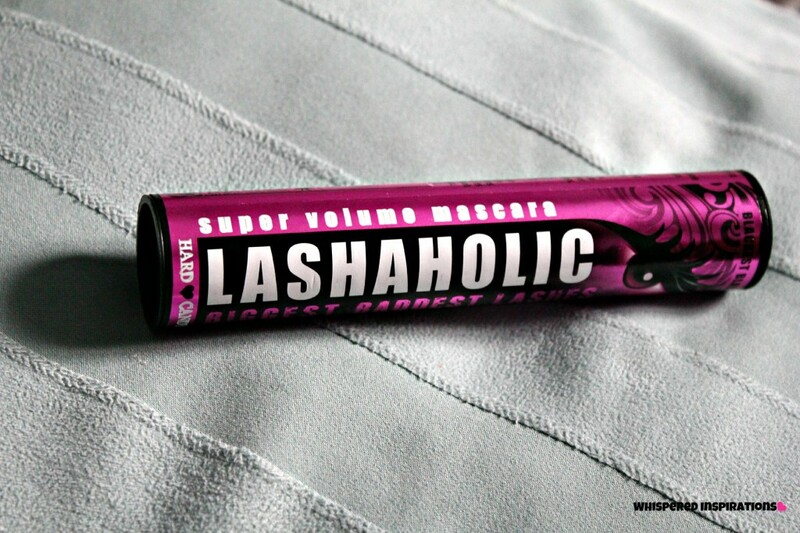 Next is the Lashaholic Super Volume Mascara. I have used this mascara before and I am super happy to have another tube! 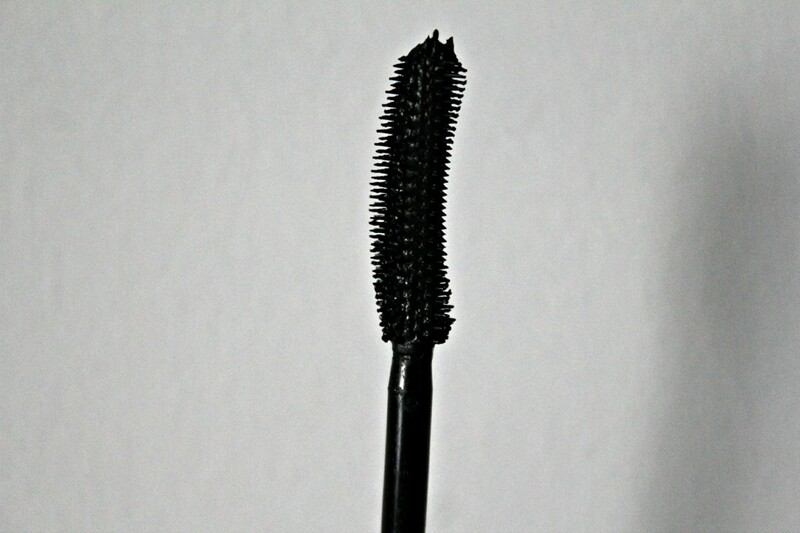 The mascara has a large brush with tapered edges, you can lightly put it on and immediately see a huge difference in length. I usually twirl my brush and I can feel the brush’s edges combing through my lashes. This is amazing because my lashes seem to clump up if I don’t twirl them and with this brush, it did it for me. I added ONE coat for the look that I did. ONE COAT! 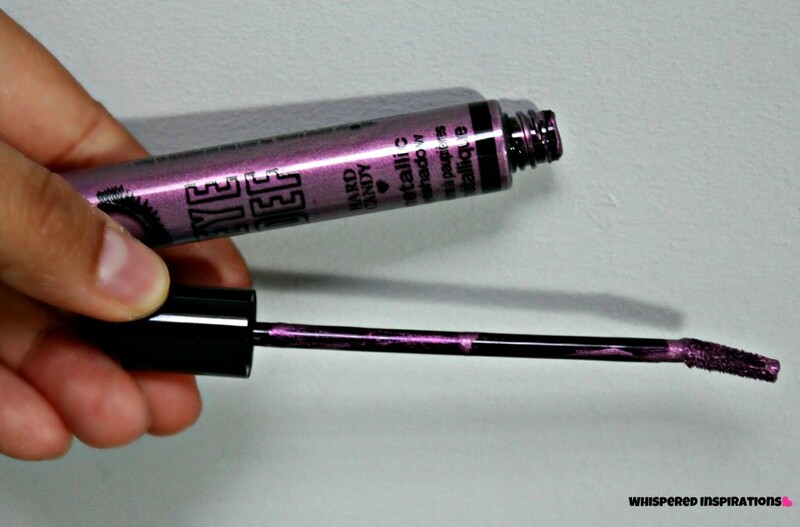 This mascara is definitely one for you mascara junkies–I know you are out there! Now, it’s time for the 15-Minute Look! Apply your base shadow to your entire lid. Then using the doe foot applicator of the Eye Def shadow in Flash, dab onto center of lid then softly dab and outline your crease. Where you want your eye shadow to separate from your brow bone. Use your finger to quickly spread the Eye Def shadow evenly on lid and blend out towards the crease. Make sure you cover the whole lid. Next, apply your silver shadow to your brow bone. This will give your look contrast and shine. With an angled brush, add the plum eyeshadow to the corner of your lids and then at your crease for some definition. To smooth hard edges, blend out with blending brush. 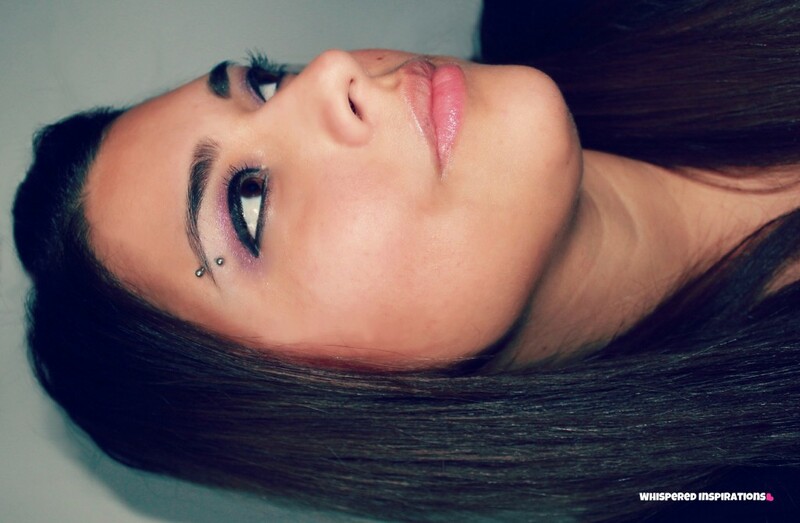 Add black eye liner as close to your lash line. Then add white liner to the inside corner of lid at the top and bottom. 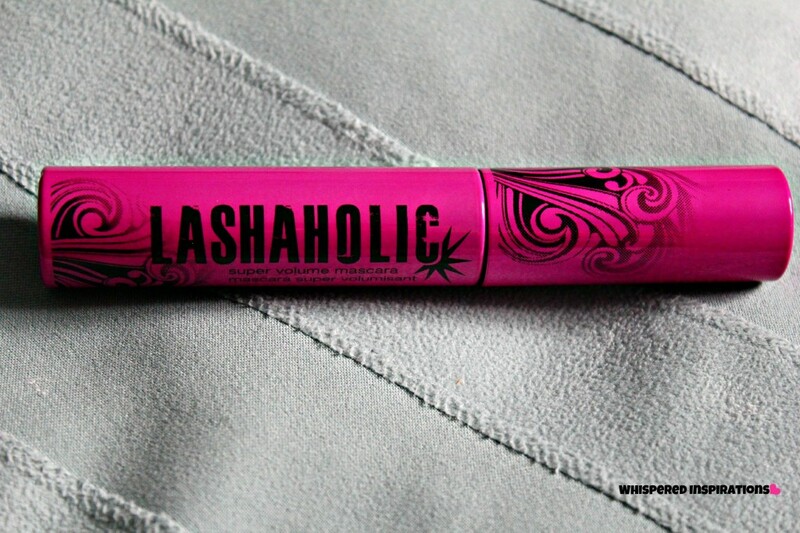 Apply your Lashaholic mascara for AMAZING lashes! Leave them as they are when they dry or curl them. Add the black liner to your water line. With a blush brush apply bronzer to your cheeks, rim of nose and jaw bones. And VOILA… You have a quick and easy look! So, have you tried Hard Candy before and what are your favorite products from them? You can find them in all of your local Walmart’s across Canada and you can also visit them on their Facebook page, here. Previous Post: « I’m 28 and Forced to Become Sterile. definitely going to let my daughter know about hard candy mascara… she loves make up also. Thanks for the post. Amazing! I love Hard Candy!! Cool Makeup Job! You had me at Candy though…. 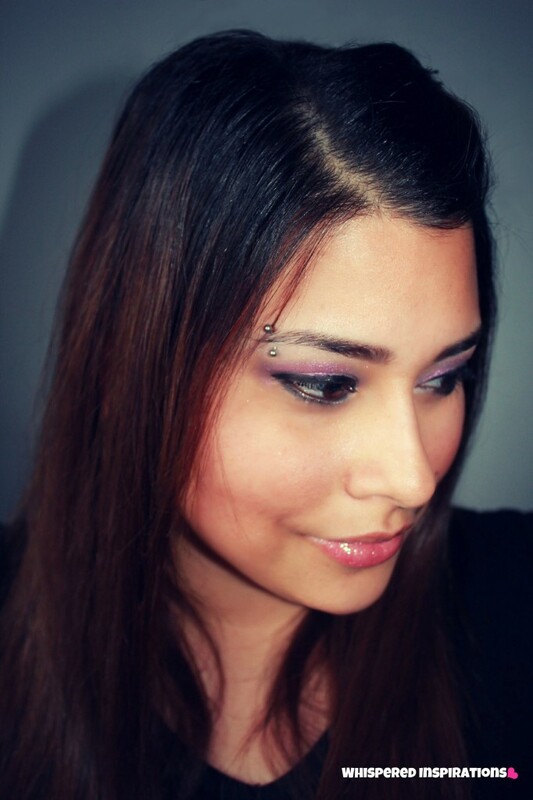 I got some Hard Candy makeup when I attended Blissdom Canada 2010 and I absolutely loved it! I'll have to look for this too! LOVE Hard Candy, that's a great look for you Nancy! Nice sharing of cosmetics..Thanks for sharing with us. Hi, love your blog. I came across your blog cause I recently discovered hard candy at my local Walmart. I live in the states so i think hard candy just started coming here. I'm a makeup fanatic. I love makeup but wish I had time to put it on as much time as I shop for them. I never knew about luxebox before but will definitely join. Thanks for sharing and great job on the makeup. I an liking their cream shadows, its called all lid up they have pretty colours I just bought the green colour in "Pining 4 U" and its perfect:) it looks great with my warm/olive skin and tan this summer and hazel blue green eyes, im a fair warm skintone in the summer i'm light to medium, and the winter golden light/fair skin, I am warm/olive skinned I think it would look amazing with your brown eyes, I I kinda am gonna see then colours I wanna try their gloss balm stains, they have a deep reddish tone I might like. I have cealic and I am also wondering that also.. If you do a quick search, it appears that some of their products are GF but, not all. It is always safe to give them a call on their customer line.